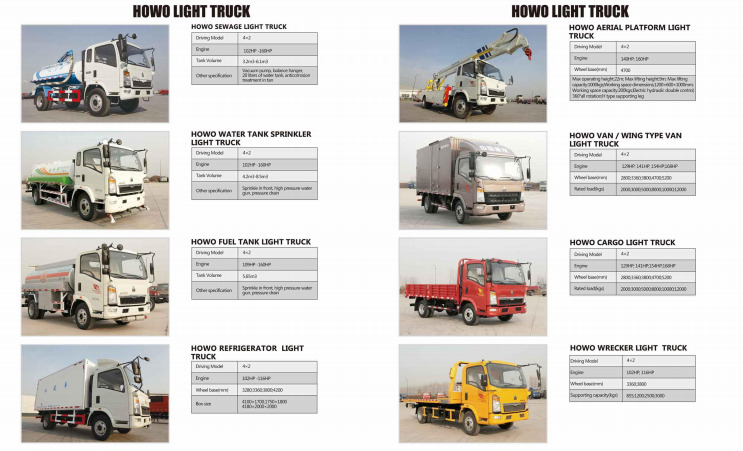 Jinan Heavy Truck Import & Export Co., Ltd. is a professional heavy duty truck manufacturer in China. 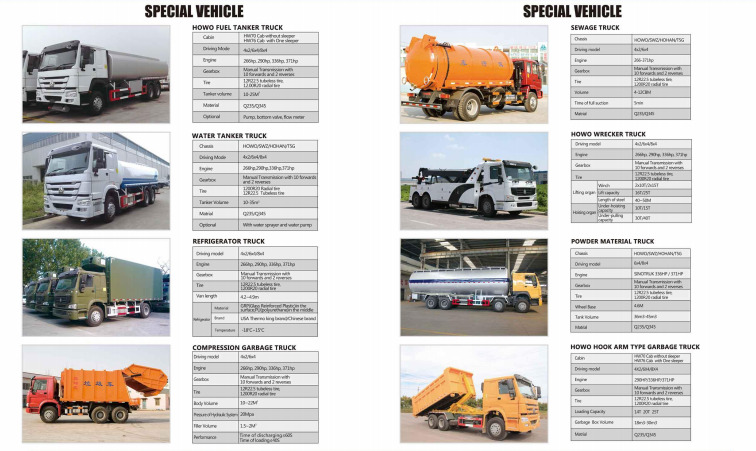 We focus on the export and service of all kinds of heavy duty trucks, machinery,Trailer and original spare parts. 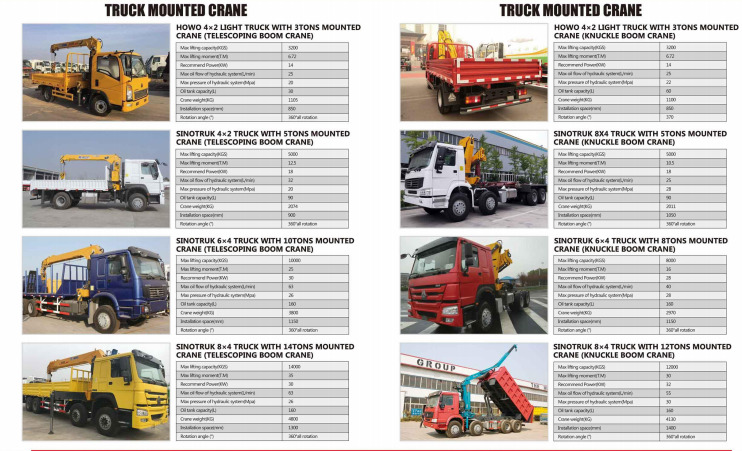 As a member of SINOTRUK, our main products are SINOTRUK HOWO, HOWO A7,T7H, STEYR, STEYR KING, GOLDEN PRINCE (SWZ10), HOKA, HOHAN and HOVA brand series trucks, including Head tractor trucks (Prime movers), Dump trucks (Tippers), Concrete mixer trucks, Bulk cement trucks, Cargo trucks, Water/Oil tank trucks, Sprinkling trucks, Garbage trucks, Log carrier trucks, All-wheel drive trucks, Fire-fighting trucks, Refrigerator trucks, Crane Trucks, Concrete Pump Trucks, Semi-trailers, tank trailers and so on. 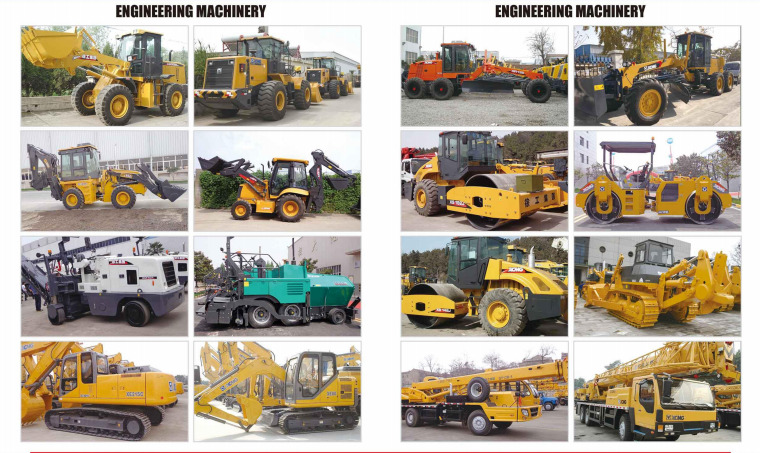 With good communication and services, our company has exported our products to Nigeria, Angola, Ghana, Libya, Cameroon, Guinea, Congo, Mali, Tanzania, Ethiopia, Algeria, Sudan, Egypt and other African countries; Peru, Chile, Venezuela, Colombia, Brazil and Argentina in South America; Ukraine, Russia, Tajikistan, Kazakhstan, Thailand, Philippines，Malaysia, Indonesia, Pakistan, Brunei and Bangladesh in Asia and other countries and regions. 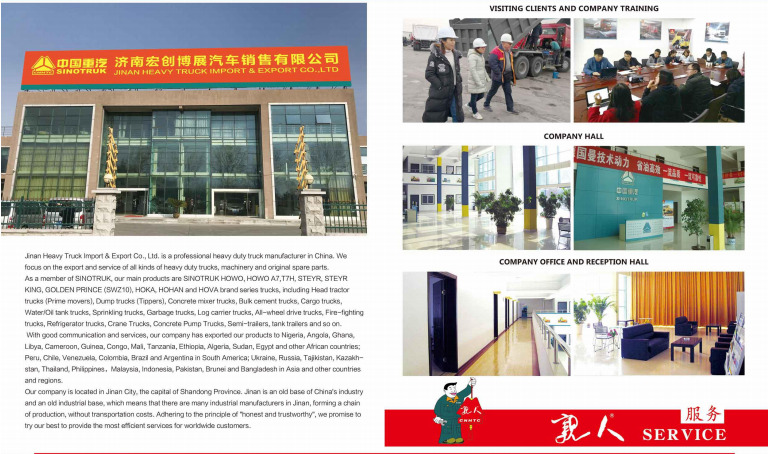 Our company is located in Jinan City, the capital of Shandong Province. 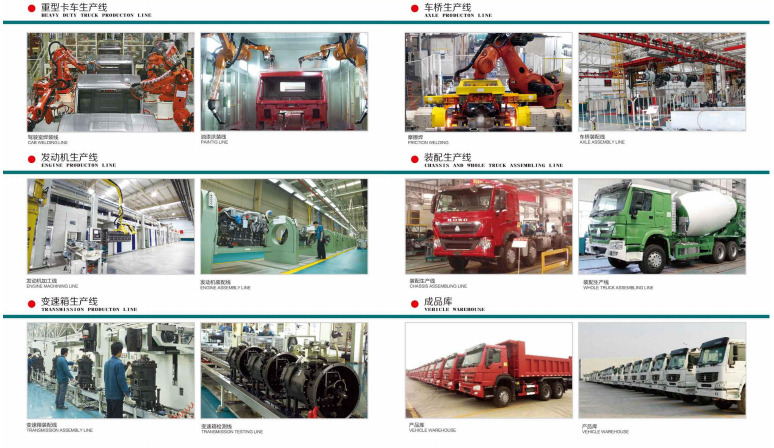 Jinan is an old base of China's industry and an old industrial base, which means that there are many industrial manufacturers in Jinan, forming a chain of production, without transportation costs. Adhering to the principle of "honest and trustworthy", we promise to try our best to provide the most efficient services for worldwide customers. 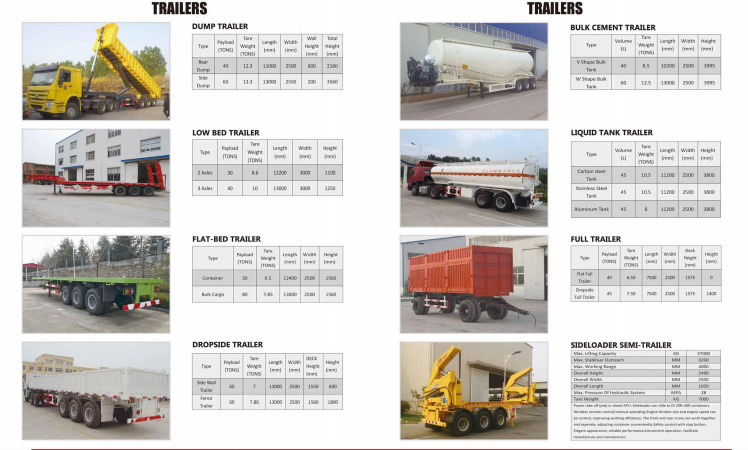 Company Name: Jinan Heavy Truck Import & Export Co., Ltd.